Is the existence of the soul a myth? Does the soul survive after death? If so, is it possible to experience ‘life' after the physical body has died? Many scientists and researchers have struggled to answer these questions for years. Some say that scientific study of the afterlife is impossible: the only way it could be done would be to bring a deceased person back to life for questioning. Some doctors, like Dr. Raymond Moody, Dr. Ken Ring and Dr. Bruce Greyson have patients who have done just that: come back from the dead. After documenting the experiences of these patients, these doctors now believe that they have evidence of the soul's existence, and life after death. 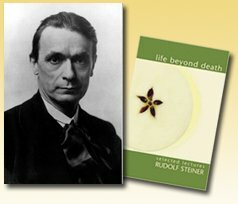 Rudolf Steiner, author of “Life beyond Death,” does not see man as a physical collection of organs. He says that the physical body is an etheric expression of astral and ego activities, which are evolving in form and function. He also says that the soul and spirit combine with the physical organs, and extract an image of the spiritual cosmos, from which the soul descends at conception. These definitions were from a spiritual standpoint. However, many scientists have come to believe in the existence beyond the physical through Quantum Physics. Quantum Consciousness is based on the concept that all things are interrelated and can affect each other at speeds greater than the speed of light, and that consciousness is derived from this almost-spiritual effect of information flow. Some say that this theory is the beginnings of a scientific understanding of spiritualism, mysticism and some occultism. Scientists say that the best scientific evidence of life after death comes from near-death experiences (NDEs). During a near-death experience, a person physically dies – sometimes during a surgery or a heart attack. Their heart stops beating, and they stop breathing. Several minutes or hours later, their heart starts pumping and they begin to breathe again. The people who have had these experiences tend to describe an out of body experience and the sense of being in the spirit world. Doctors have been gathering data of patients who have reported these types of experiences for over 30 years. A number of scientists and doctors believed that perhaps these were just mere hallucinations. But many of the characteristics of the NDE's could not be explained by the idea that they were hallucinations. It is very common for those with NDEs to bring back profound information from the other side. Sometimes the information is very physical and other times very spiritual. During the NDE of a gentleman named Mellen-Thomas Benedict, he was shown scientific information on bio-photonics, cellular communication, quantum biology and DNA. He was later awarded six patents. Some of the most profound NDEs have occurred with those who were in the experience for several days. One man, a neuropathologist by the name of George Rodonaia, was in a NDE for 3 days. He only came out of it when doctors began to perform a routine autopsy on him. Prior to his experience, he was an atheist. After that, because his experiences of the spirit on the other side were so profound, he took a second doctorate in the spirituality of religion and became an ordained minister. Another validation of the existence of the soul after death comes in the form of group NDE's. In one case, a group of firefighters all died while working in a forest. They all reported seeing each other during the NDE above their lifeless bodies, and all ended up surviving. Dr. Moody has investigated over a hundred case studies of people who experienced “clinical death” and then revived. This classic study has established him as the world's leading authority in the field of near-death-experiences. “Life after Life” has forever changed the way we view life and death. One of his excerpts described near-death experiences as “a floating sensation and disconnectedness from your physical body.” He went on to say that “the soul views the lifeless body from a corner of the ceiling; and, a sense of calm and serenity dominates, and time has no meaning. The soul feels drawn to a dark tunnel with a brilliant white light at its end. As you enter the white light, a loved one or a religious figure greets you, and you have a panoramic life review.” Amazingly, many people from different parts of the world have described this exact same experience. People also reported having a greater appreciation of life, an increase of importance in personal relationships, and a greater determination to accomplish goals. Dr Moody described one personal account of a blind woman who was able to accurately describe the instruments that were used in her resuscitation following a heart attack – “right down to their colors.” The fact that this woman had been blind for fifty years highlights the validity of near- death experiences. Moody also reports that most people who have near-death experiences are reluctant to return after leaving the body. Some patients were even angry at their doctors for bringing them back. They must have had quite an experience! Dr. Ken Ring was a professor of psychology at the University of Connecticut. He has documented 102 NDEs. His latest research involves near-death experiences among blind people, and his findings can be found in his latest book Mindsight. 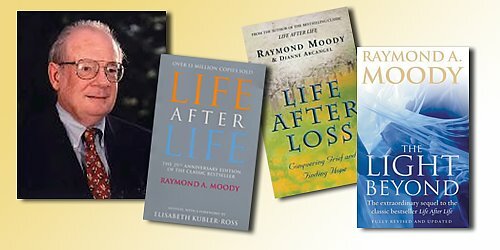 His previous books include Life at Death, Lessons from the Light, Heading toward Omega and The Omega Project. Dr. Ring's research of NDEs included persons who witness events while out of their body, which were later proven to be true. 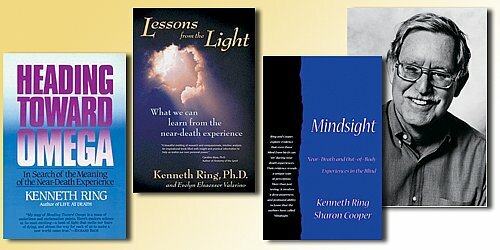 He has researched near-death experiences that confirm reincarnation. 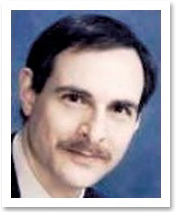 Dr. Ring wrote an article in the Journal of Near-Death Studies concerning NDEs. He reported that once out of the body, people have a number of common experiences. These include “moving through a void or dark tunnel toward a bright light; meeting with departed relatives and friends; having a feeling of great comfort and bliss; and, being surrounded by compassionate love and a feeling so beautiful that they longed to remain. When the people did return to the earthly realm after their NDE, they were affected by this feeling for the rest of their lives.” This is almost identical to Dr. Raymond Moody's findings. Our next doctor documented perhaps one of the most compelling examples of a person who has had an out of body experience or NDE. Dr. Bruce Greyson is a Carlson Professor of Psychiatry at the University of Virginia Health System. He is a member of the Para-psychological Association, focusing his research on near-death experiences. He is the recipient of nine research grants for which he is the chief investigator, and has spoken at more than sixty scientific presentations at national and regional conferences. Dr. Greyson has also published more than sixty articles. He has written a book entitled, “The Near-Death Experience: Problems, Prospects, Perspectives,” and, he has been the editor of the Journal of Near-Death Studies for the past twenty-two years. Dr. Greyson has documented clear patterns in the long-term health of patients who have reported near-death phenomena. He has also written therapeutic strategies for helping patients readjust to life after NDEs. Having a near-death-experience is a profound event, from which most people come back changed. Criminals return ready to serve others. Health is improved, mental issues are resolved. Most people who have had a NDE state that they do not question if there is a God after their encounter; they know there is a God. When we come down to this earth, we loose connection with God. We forget Hiers existence. But having gone through the NDE, we connect again with that divine self, that part of us that loves us too deeply for words, the part which is inside of us eternally. And in spite of being declared physically dead during the experience, our soul continues to acknowledge events, and bring back fascinating tales for all those with ears to hear. The profound and significant body of evidence on NDE's demonstrates beyond a doubt that the soul truly does exist beyond life, and that God does, too.